Conversation flows freely with hands-free calling through the left earpiece. Leave your phone where it is: just speak with a tap. Extra Ear Buds. 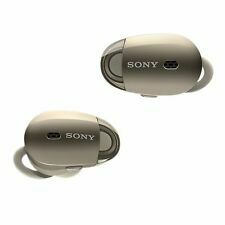 Sony WF1000X/NM1. Digital Noise Cancelling lets you listen without distractions. Super Sound Quality & Bluetooth 4.1 - The noise canceling earphones designed with CVC 6.0 noise canceling chip that provides you high-fidelity stereo sound quality. 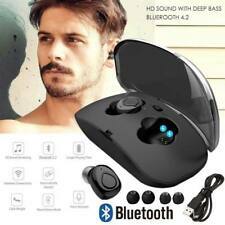 Adopting latest bluetooth 4.1 technology that compatible with most iPhone, Tablet, iPod, Android smart devices. Bluetooth version: V5.0 EDR. Bluetooth use band: 2.4GHZ. Microphone sensitivity: 107DB SPL /-3DB. 2 Bluetooth Earphones. Wireless frequency: 20HZ-20KHZ. Accessories List. Trending at C $65.49eBay determines this price through a machine-learned model of the product's sale prices within the last 90 days. Free your run with Jaybird run - No wires, No worries. 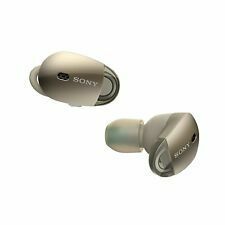 Sony WF-SP700N wireless earphones. Does not include original box or charging USB. 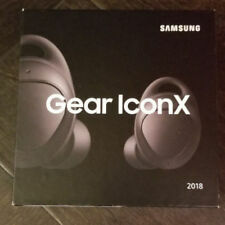 Samsung Gear IconX Wireless Earbuds (2018 Version, Black). 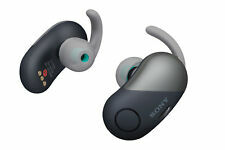 Bluetooth 4.2 Wireless Connectivity. Ear Tip Set. USB Type-C Connector. We do not accept eChecks. Includes Portable Charging Case. The item for sale is an open box MagicBeatz Pro, Truly Wireless Bluetooth Sports Stereo Earbuds with Charging Docking Base - Black. All parts and accessories are included in the original box. 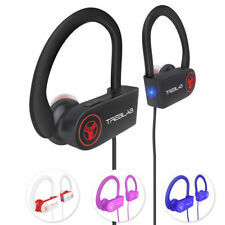 Truly wireless stereo bluetooth earbuds, easily connects to all bluetooth 4.0 or newer devices. Includes headphones and charging cable only. Does not include any other accessories the box or instructions. Trending at C $71.28eBay determines this price through a machine-learned model of the product's sale prices within the last 90 days. 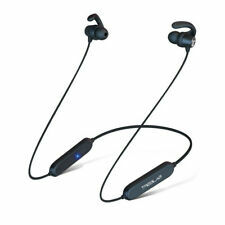 Skullcandy JIB Wireless Bluetooth. Noise Isolating Earbuds. Flexible, featherlight design. 6 Hour Battery Life. ZOLO by Anker Liberty Total Wireless Earphones Bluetooth Earbuds - BLACK. Condition is Seller refurbished. Shipped with USPS First Class Package. 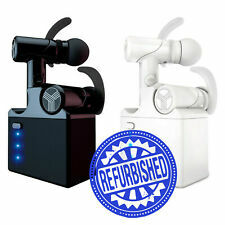 AUKEY EP-E1 Bluetooth Headphones, Magnetic Wireless Earbuds with 8 Hours Playtime and Built-in Microphone Compatible for iPhones, Samsung Phones, Tablets, etc Description: Wireless in-ear earbuds that deliver clear, natural, and well-balanced audio Magnetically clip together for convenient and secure carry around your neck. 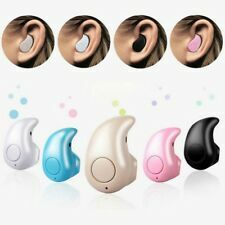 Great for use on-the-go; walking, commuting, travelling, and more Connect quickly with Bluetooth 4.1 and effortlessly manage audio playback & calls with volume controls, multi-function button, and built-in microphone Comfortable ear-tips (in three sizes) provide a secure seal for your ears, isolating you from external noise Package Contents: AUKEY EP-E1 Magnetic Wireless Sports Earbuds, Micro-USB Cable, Three Pairs of Ear-Tips, Carrying Pouch and User Manual. You need style and a sound with substance. Edifier now gives that the W360BT. The neckband highlights playback usefulness and has a mouthpiece for savvy voice prompts. The W360BT utilizes 13mm neodymium drivers that are finely tuned for dynamic and rich sound.